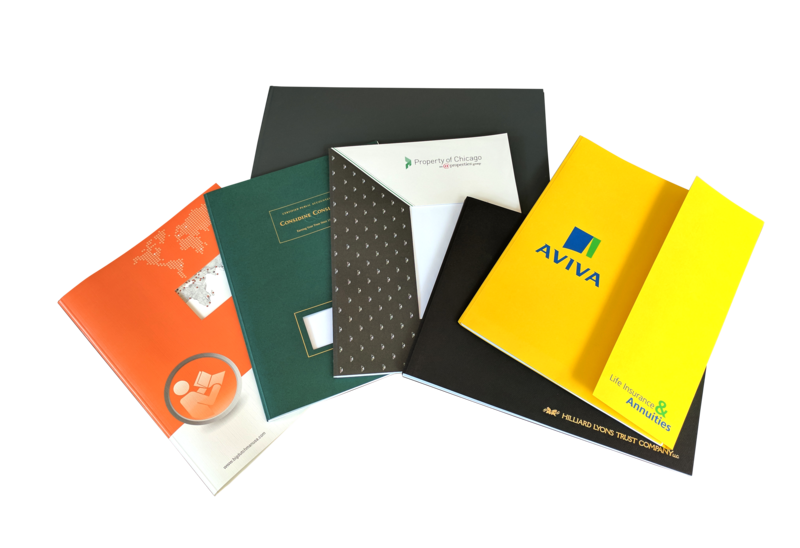 Create your perfect custom cover by adding logos, corporate colors, slogans, etc. Customize the color, design, size, shape, and orientation. Add flaps, pockets, embossing, and folds. The possibilities are endless. 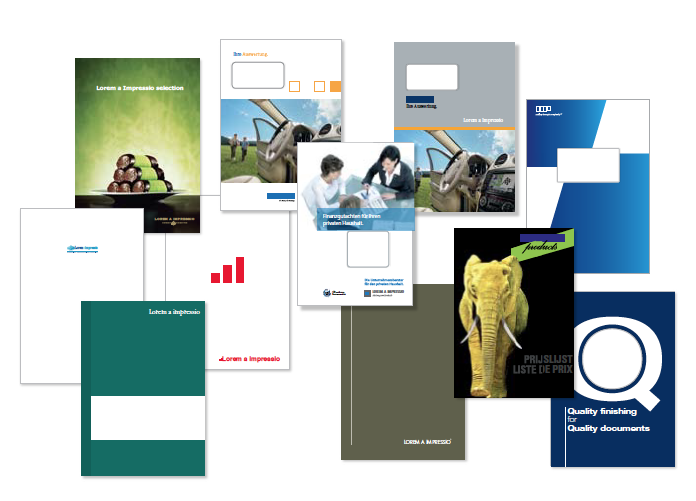 We provide design support to help customers create the right cover for them. From 5 1/2"x8 1/2" to 11"x17"